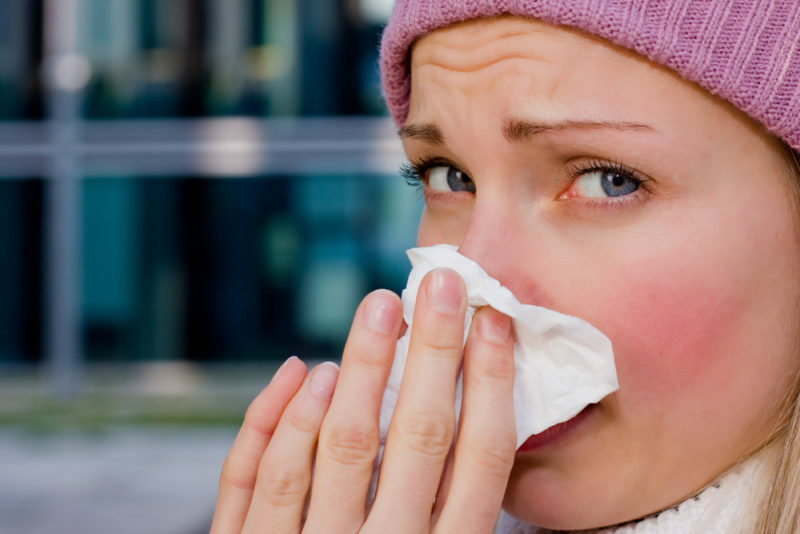 In Sugar Land, Texas, and around the nation, winter is synonymous with cold and flu symptoms. Instead of stocking up on cold medicine, throat lozenges, and tissues, try a different method for keeping germs at bay this year. Learn why your family needs an air purifier to stay healthy during cold and flu season. If you’ve ever purchased an air filter for your home, you know that they come in all shapes and sizes. Many are portable in nature, which means you can move them around as necessary. While portable air cleaners might be easy to use, they tend to be inconvenient and ineffective when you need clean air in multiple areas. At Conditioned Air, we recommend that homeowners invest in a whole-home air purifier. This device works well with your HVAC system and is especially helpful during cold and flu season. A model like the Comfort EZ Flex Cabinet Air Filter uses a Minimum Efficiency Reporting Value (MERV) 10 filter, which means the device can capture particles measuring one to three microns in size. With every cycle of your heating system, this basic filter traps up to 65 percent of the particles that circulate through your home’s air supply. During cold and flu season, you want to keep your family as healthy as possible. If you or your kids suffer from allergies or asthma, you know that dust, pet dander, and mold can trigger an attack and affect your well-being for long periods. Some airborne contaminants can cause long-term effects. When you use a Performance Air Purifier PGAP, however, you can rely on the power of a MERV 13 filter. This model captures up to 75 percent of airborne particles that measure .3 to 1 microns in size, including pet dander and mold. It also specializes in trapping the flu and common cold viruses, so you won’t have to worry about these pathogens circulating through your home’s air supply. When you need a whole-home air purifier that does more than just capture airborne contaminants, look for one that kills viruses and pathogens too. We regularly recommend the Infinity Air Purifier GAPA to families seeking a top-of-the-line model. This whole-home air purifier captures up to 95 percent of particles as msmall as .30 microns in size. That’s not all, though. This model also inactivates almost 100 percent of the germs and mold spores it captures. It is designed to destroy 13 different pathogens, including multiple types of flu, the common cold and measles. That means this air purifier can keep your family healthy during the flu season and beyond. All of our whole-home air purifiers require virtually no maintenance. You’ll simply need to change the filter every three to nine months, depending on your level of usage and your indoor air quality. Since most air cleaners have a 10-year warranty, you can depend on them to last about as long as your furnace, heat pump, or other major HVAC component. You can also connect many air cleaners to your smart thermostat. Choose a model like the Infinity Remote Access Touch Control and you can easily manage air quality components like your air purifier or your humidifier in order to keep your family healthy throughout the season. While most heat pumps and furnaces rely on air filters to trap dirt and debris in your home’s air supply, some air filters with high MERV ratings can decrease your HVAC system’s efficiency. In contrast, whole-home air purifiers are designed to keep the air flowing smoothly while helping your HVAC system run efficiently, so your loved ones can breathe a sigh of relief. Are you ready to keep your family healthier and feeling better throughout cold and flu season? Call the Conditioned Air team today at 281-201-0356 to learn more about our innovative indoor air quality solutions.